A bus leaves the Leeuwarden train station every 20 minutes. 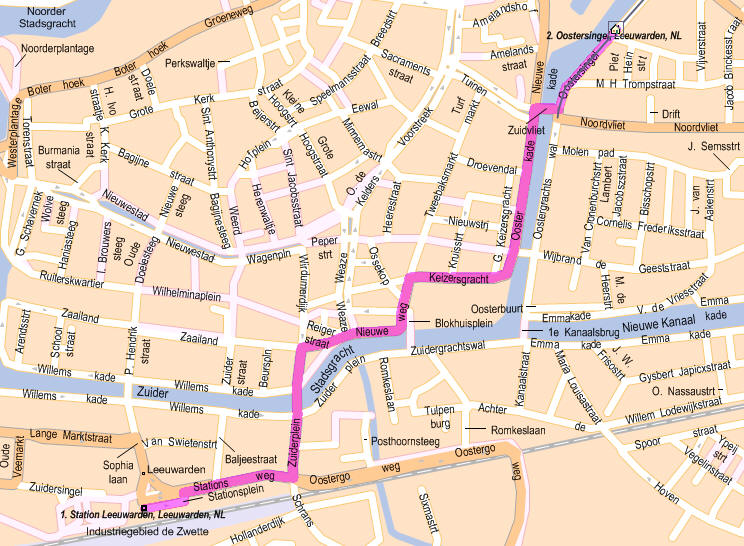 You will need to take stadsdienst (city service) line 3 or 8. Exit at the “Vlietsterbrug” stop. After you exit go over the bridge, take a left turn and after that walk for around 100 meters. follow the P-route to parking Hoeksterend (closed on Sunday). You can park there or closer to the museum (both are payed parking). From the parking garage Hoeksterend to the museum is about a 5 minute walk. If you’d like to walk or cycle from the train station you can follow the purple line on the map below.